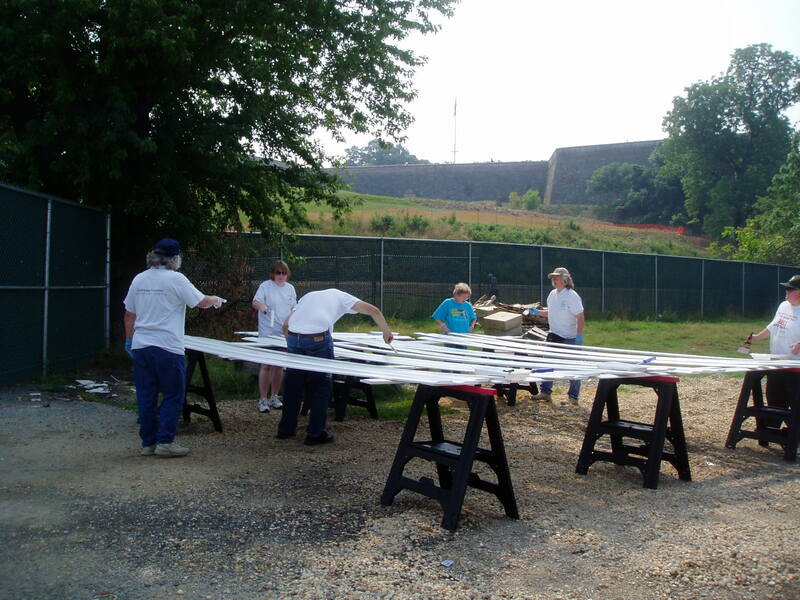 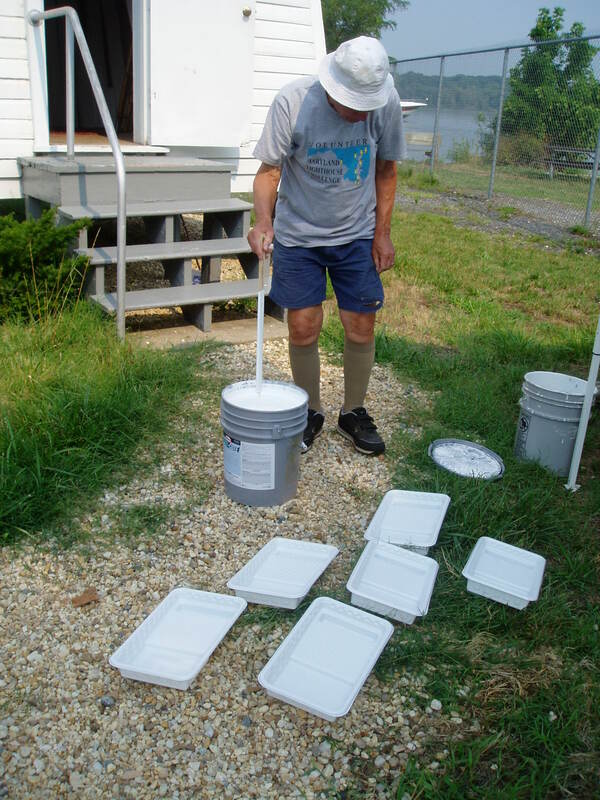 Workday: Fort Washington September 2007 – Chesapeake Chapter U.S.L.H.S. 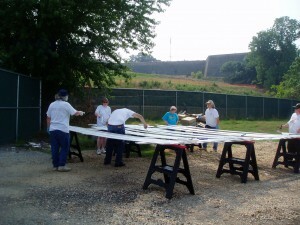 It was not just another work day at Ft. Washington in September of 2007. 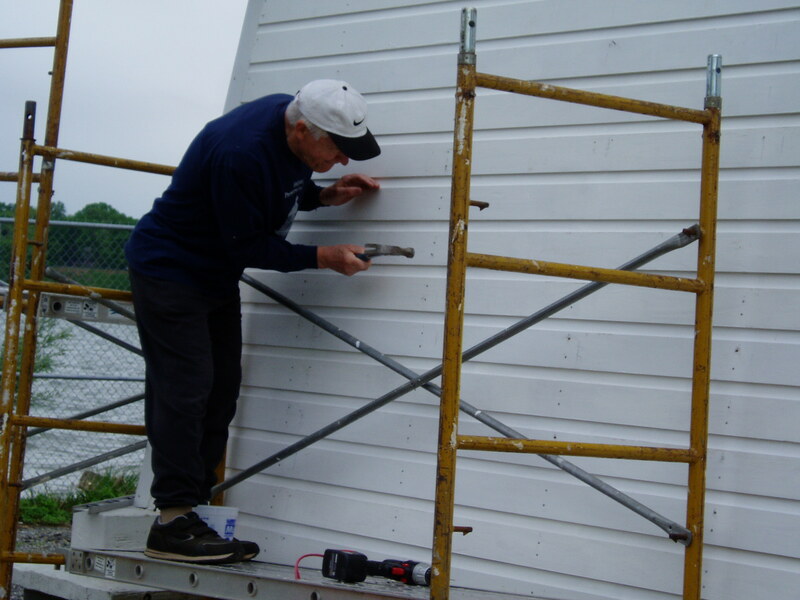 Volunteers did paint the remaining replacement wood so a smaller crew could return during the week to work on the front of the light. The smaller crew did return and stripped off the old wood only to discover one of the support beams was badly deteriorated. All they could do was clean and paint the under layer of wood and report the problem. The Park had to have a structural engineer come out and take a look so they could determine a course of actions. 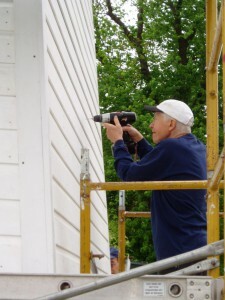 Volunteers returned again to work on the windows and doors. 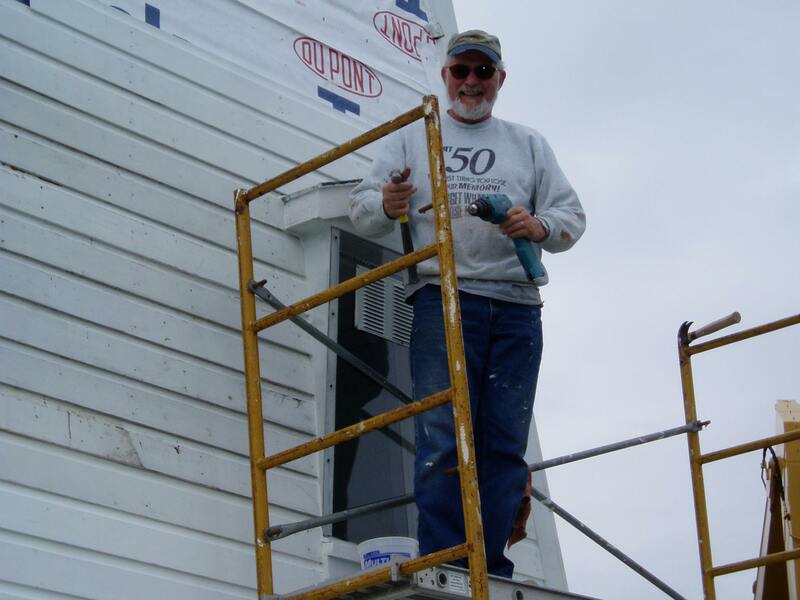 Participants of the Challenge had an unusual opportunity to see exactly why there is a need for preservation efforts for these lights. 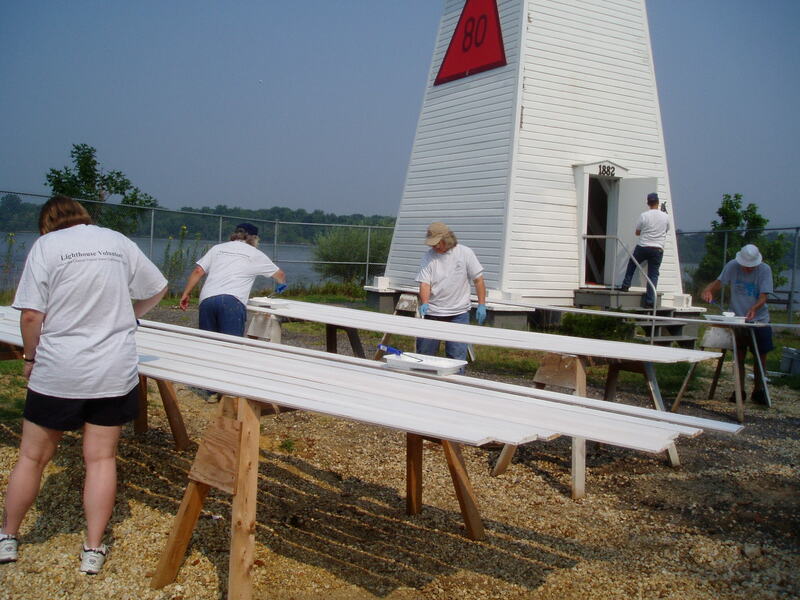 They could see for themselves the toll that time and weather take on the beacons of the bay. 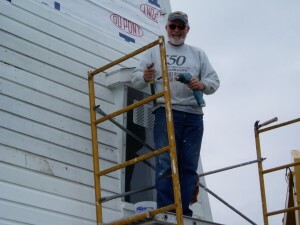 Priming and painting replacement wood. 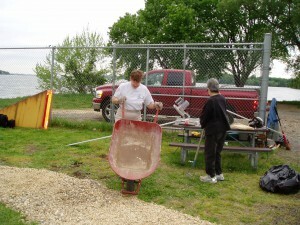 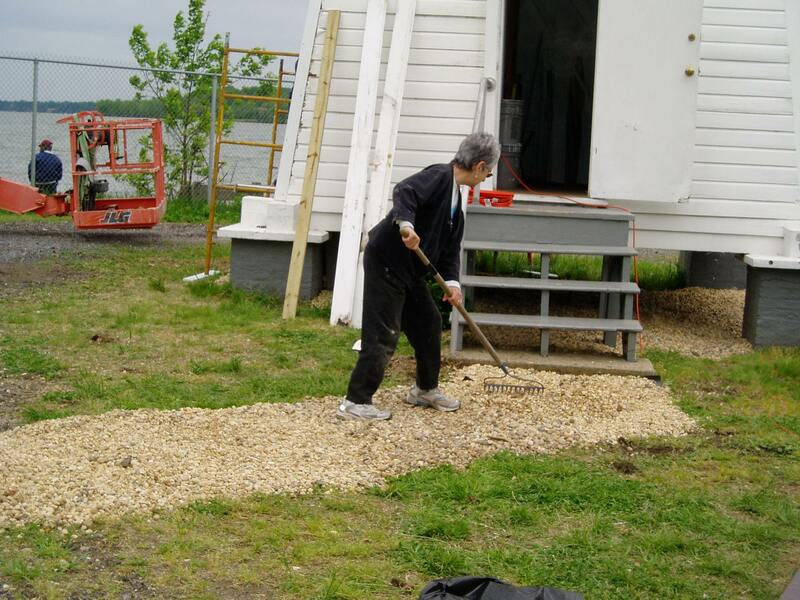 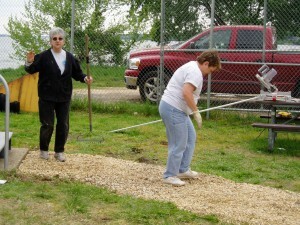 Joyce and Barbara pack down gravel.